An exclusive glass electrical fittings collection of household light switches and plug sockets. This glass switches and socket range is Italian designed for the UK market, with each electrical fitting available in the 5 contemporary glass colours of white, black, grey, aqua and brown. Manufactured in Italy these high quality household electrical fittings give luxury styling to high quality interior projects. Within this collection we can supply a full range of electrical fittings, including rocker light switches, plug sockets, TV sockets, telephone points, cooker points. All mirror finished electrical fittings are supplied to special order please allow 3 weeks delivery. 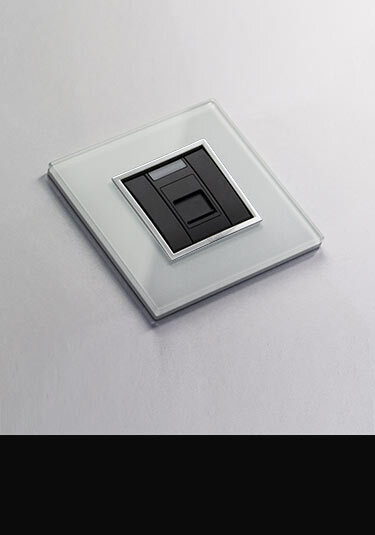 Italian designed UK electrical light switches are luxury quality and made for high quality interior design. 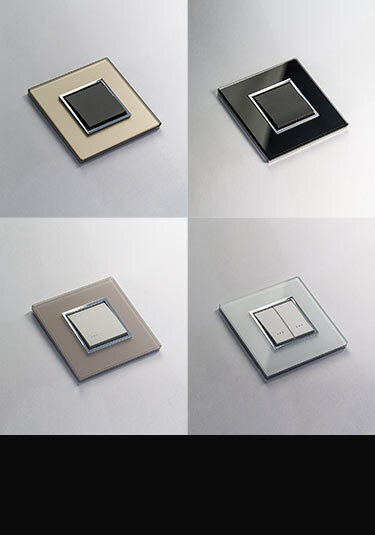 These glass light switches are available in 5 glass colours. 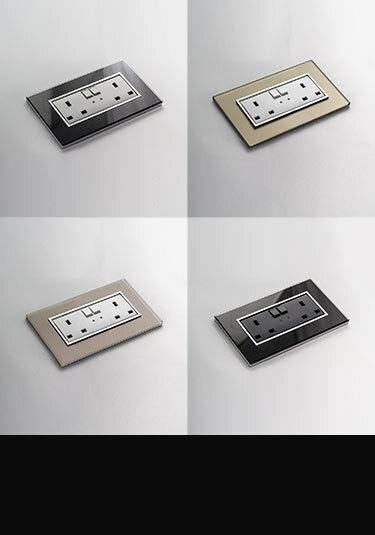 A luxury collection of designer plug sockets supplied in polished gold and matt gold finishes. These luxury electrical fittings are the latest in Italian styling and designed for the UK market.